On the whole healthy eating is what keeps your body in tip-top shape. That’s a given. But when it comes to your visage, did you know that it’s not only products that can affect how radiant you look? Let’s discover the best foods for hair skin and nails and learn how you can eat yourself even beautiful than you already are. Even if you’re one of those lucky few who can stuff themselves with junk food and not gain a pound––and we do envy you––eating healthy has major implications for your system, both inside and out. The latest medical imaging has shown that even though a person might look skinny on the outside if they’re not eating right a layer of visceral fat can build up around the inner tissue and organs––and this is seriously dangerous in terms of health. Aside from exercise, one fundamental way to keep yourself beautiful inside and out is to eat healthily. While you can’t see what’s going on inside your body, unless you attend a specialist clinic, a good indicator for your nutrition levels are your hair, nails, and skin. Lackluster, dry, or greasy hair; brittle, lined nails; and dry, greyish skin are all signs that you need a boost to your system. Here are some of the best nutrients and foods for your skin, hair, and nails. Keeping your body beautiful––what to eat? To keep your skin, hair, and nails looking great, you need to be eating all the colors of the rainbow and an entire alphabet of vitamins. But don’t worry, once you know what to eat, the rest is not that hard. 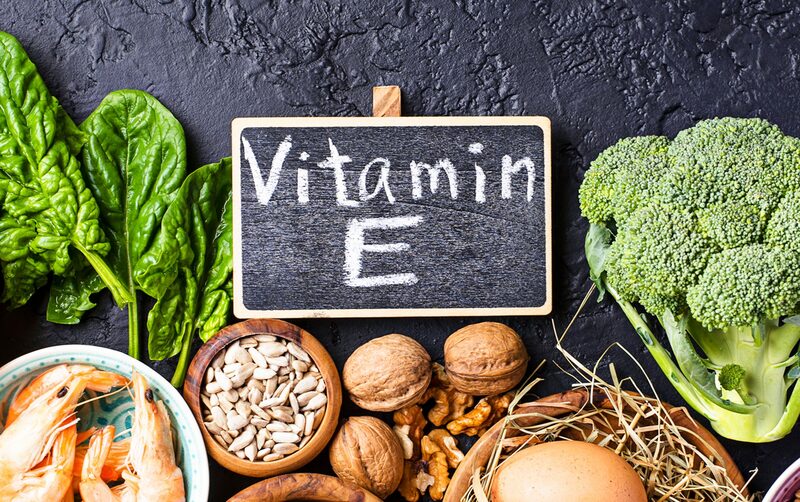 Right at the start of the alphabet, this vitamin improves your eye health, strengthens your immune system and in general keeps you healthy––its essential nutrition for hair and skin too. 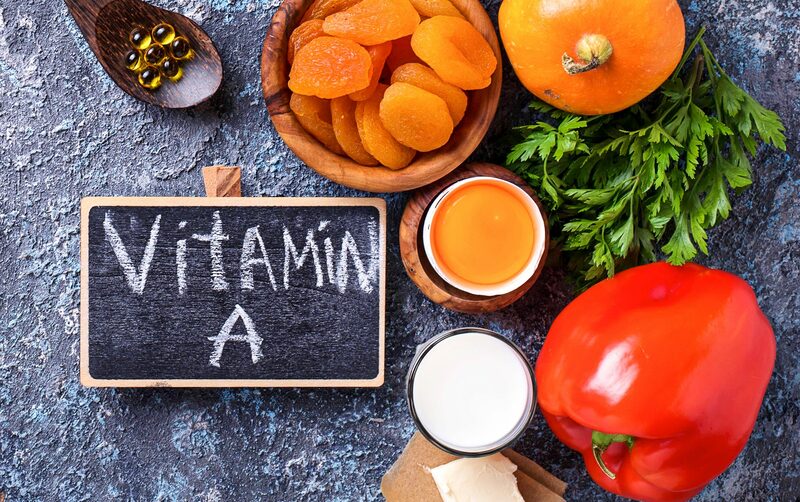 The main aim of vitamin A is to aid your body in the cell regeneration process. A fat-soluble vitamin, those following a vegan diet may find it a challenge to get enough of it as its mostly found in animal products, but non-meat eaters can look to alternative sources––you’ll just have to eat a little more. Found in: Liver, fish (salmon, tuna, etc. ), cheeses (goat’s cheese, cheddar, etc.) eggs, and vegetable sources including sweet potatoes, apricots, broccoli, and carrots. The seven B vitamins collaborate within your body to ensure your metabolism stays intact, and this has a significant impact on the look of your skin, hair, and nails. Also known as thiamine, this vitamin aids the body in its metabolic process and supports key bodily functions. Found in: Fruit, whole grains, cereals, liver, and eggs. 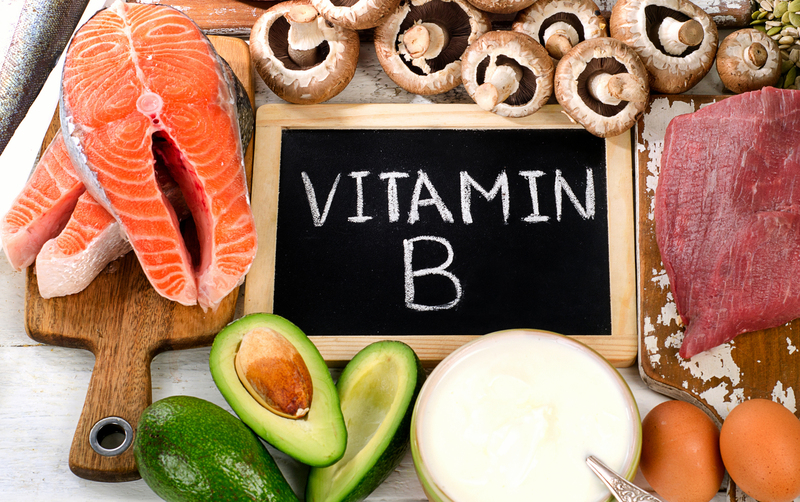 This vitamin is a nervous system supporter, known by its scientific name riboflavin; vitamin B helps metabolize proteins, aids in growth and keeps your skin and eyes healthy. Found in: Eggs, milk, rice, and cereals. Number 3 on our list is also known as niacin, this little wonder converts food into energy and prevents against free radicals. Found in: Liver and oily fish. Pantothenic acid, vitamin B5, is another metabolism aid which reinforces your cardiovascular system. Found in: Meats, potatoes, eggs, and whole grains. Responsible for metabolic processes and aiding in the production of hemoglobin, B6 also helps your body produce serotonin that feel-good hormone. Found in: Fish, whole grains, soya, and cereals. Also known as biotin or vitamin H, this is one of the essential vitamins for the health of your skin, hair, and nails. It works by metabolizing carbohydrates, proteins, and fats. Found in: Egg yolks, avocado, raspberries, liver, and fish. A worker for the nervous system, B12 helps convert what you eat into engird to fuel your body. Found in: Fish, meat, dairy products, and cereals. Vitamin E is essential for helping protect your body from damage; it aids in the healing and regeneration process. It is a fat-soluble antioxidant, which has an anti-inflammatory effect on your skin. This omega is the be all and end all of dietary nutrients that help you achieve better skin, hair, and nails. 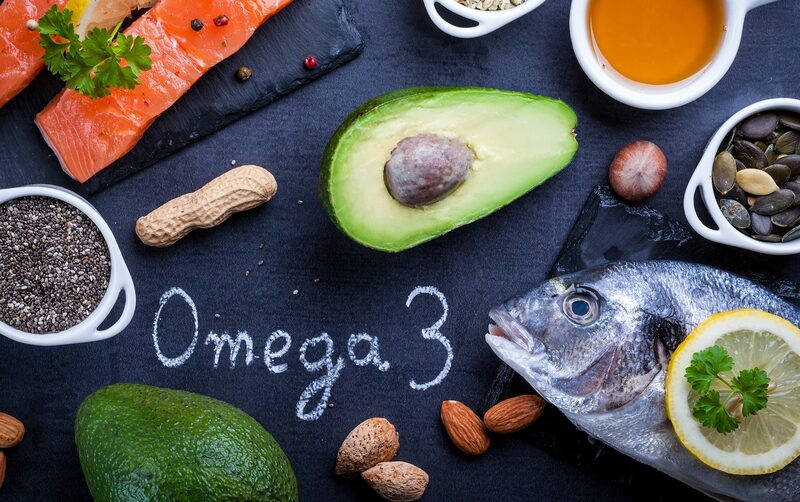 Omega 3 contains alpha-linolenic acid, eicosatetraenoic acid, and docosahexaenoic acid, the essential fatty acids that provide nutrition to your skin. Without Omega 3 your skin would look dry and tired. Found in: Eggs, flaxseed, fish oil, several types of fish, and walnuts. This is your body’s building material, so it makes sense that it affects your looks too. Your skin and hair are made up of a type of structural protein known as keratins; this is composed of protein and amino acids. Dietary proteins can help you create this in your system to keep your skin and hair looking great. 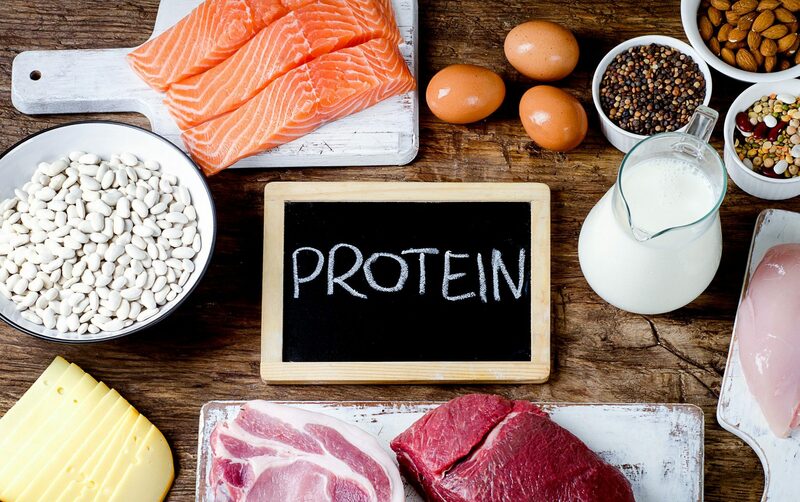 Your hair and skin are made of structural proteins known as keratins, that’s why dietary protein helps your skin/hair look amazing. Found in: Chicken, eggs, lean red meats, soya beans, seafood, nuts, and whole grains. An essential part of your body’s recovery system, zinc helps create new proteins that regenerate your body’s cells. Without zinc, you may notice your hair looking dry and your nails brittle. Zinc is indispensable nutrition for your hair and nails, ensuring they stay looking fresh. Found in: Cashews, green beans, lobster, soya, and oysters.